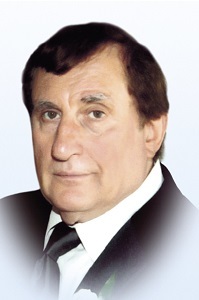 It is with great sadness that we announce the passing of Nicola Francischiello on February 2nd, 2019 at the age of 75. He will forever be remembered by his loving wife, Giovanna Bertone and children Virginia, Assunta (Antonio) and Giuseppe. He will also be dearly missed by his grandchildren Domenico and Audrina as well as his sister, brother, brothers-in-law, sisters-in-law, nieces and nephews and many relatives and friends. SOLO LA FEDE PUO’ CONSOLARE IL CUORE DI CHI HA PERSO UNA PERSONA CARA. LA FEDE CI DA’ LA SPERANZA CHE UN GIORNO RIVEDREMO CHI CI HA LASCIATO. My condolences to all your family. Un grande dispiacere per il mio zio. Tristezza,pena questi giorni per tutti noi di famiglia. Sacrifici,ha lavorato sempre…adesso non sofra piu,con la dignita sta al cielo. Riposa in pace zio. Ti vogliamo bene. Mi dispiace tanto par il zio, ha sempre lavorato,sacrifice… non sofra piu.